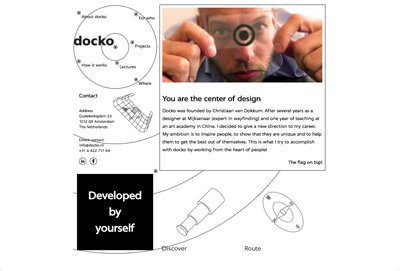 Responsive design of Dutch graphic designer Christiaan van Dokkum's website based on his draft. The special thing about my approach is the infinitely variable scaling of all elements. Windhagen: New website for this municipality Swiss Mountain Clinic: Simple and elegant Fancy one pager for pharmacy "Marienstrasse"